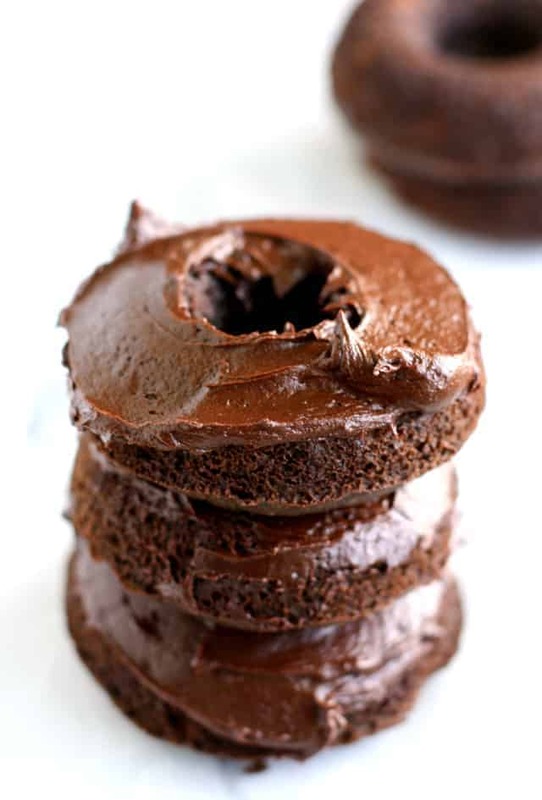 Home » Dairy Free » Double Chocolate Vegan Gluten Free Donuts. 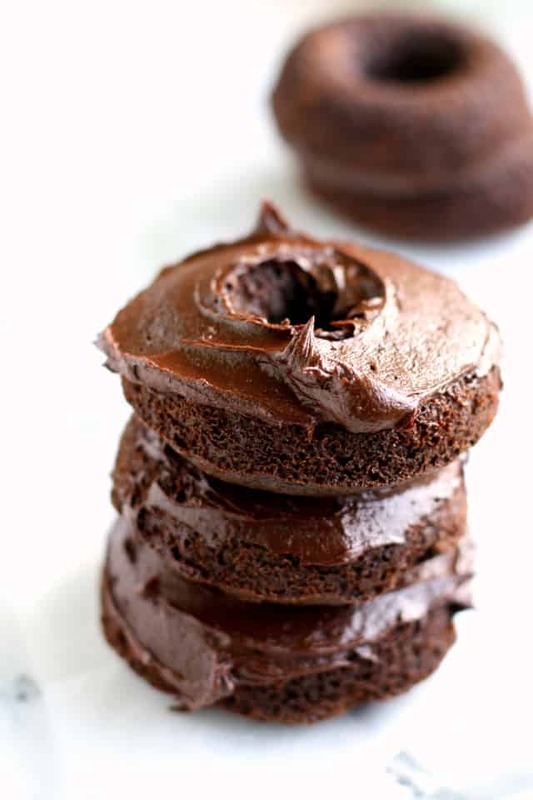 These double chocolate vegan gluten free donuts are baked in a donut pan and topped with a rich chocolate frosting! A perfect donut for a weekend treat. So, it’s National Donut Day, did you hear? You can run right out and get free donuts from some places if you want to! Or if you’re like our family, and can’t do donut shops due to the stray nuts, eggs, dairy, gluten, soy, (insert other allergen here), then you may want to stay home and make donuts. 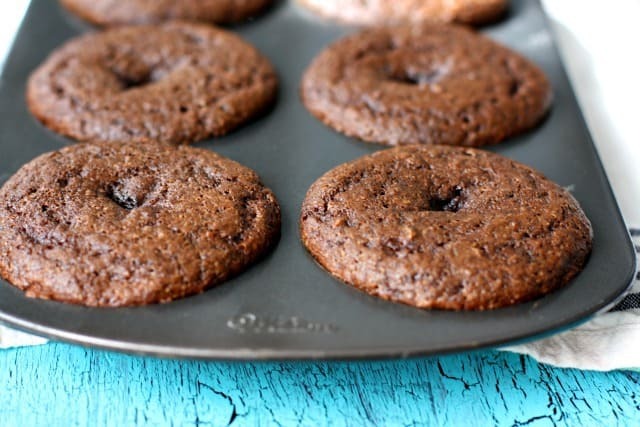 I have just the recipe for you with these double chocolate gluten free and vegan donuts! You know, is there ever a time when a double chocolate donut isn’t a good idea? I just don’t think so. And gluten free donuts are always welcome, aren’t they? Even better if they are vegan and nut free! 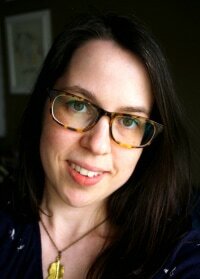 I made these treats at the end of a super crazy week – we had been doing some little home projects and it just was a busy and long week, and I felt we all needed a treat. 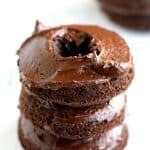 The boys went crazy over these – these double chocolate vegan and gluten free donuts are soft and tender, and the rich frosting on top makes these really decadent. These donuts are so easy to make – you just mix the ingredients in one bowl. You don’t need an electric mixer, just give them a quick stir by hand. 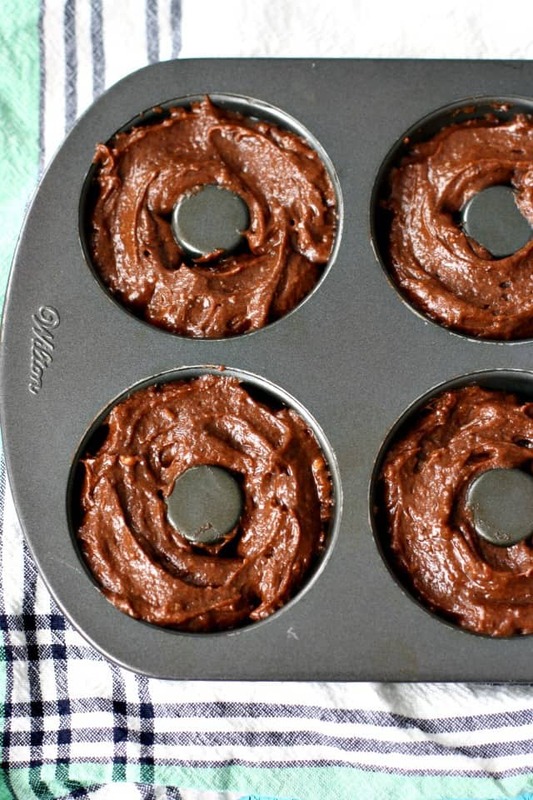 Then you simply spoon the batter into the pan, pop it in the oven, and after about 15 minutes, you’ll have delicious vegan gluten free donuts! Pro tip: Don’t wait too long to get these donuts out of the pan. Let them cool for about 8-10 minutes, then overturn the pan and tap to release. If you wait too long, they might stick to the pan. If you want to skip the frosting (Why would you do that?!) you can. These are delicious plain, or you could dust them with a bit of powdered sugar. 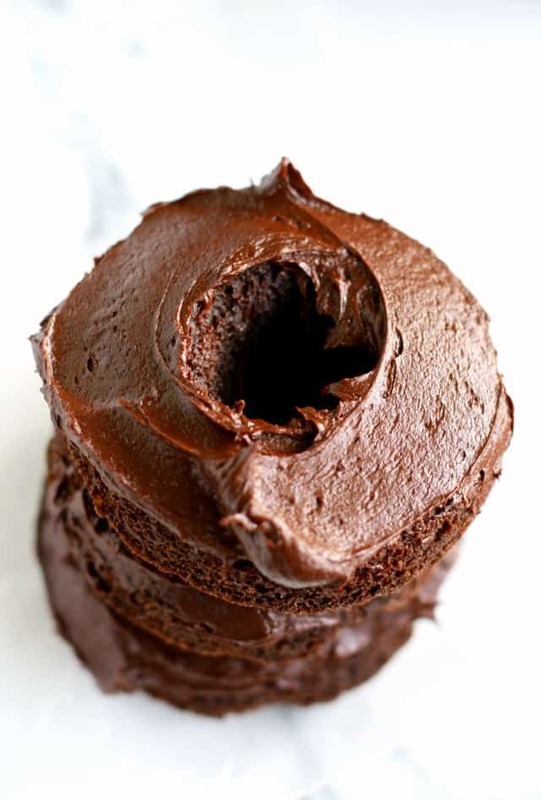 If you’ve got some extra zucchini around, you might want to try my chocolate zucchini donut recipe. 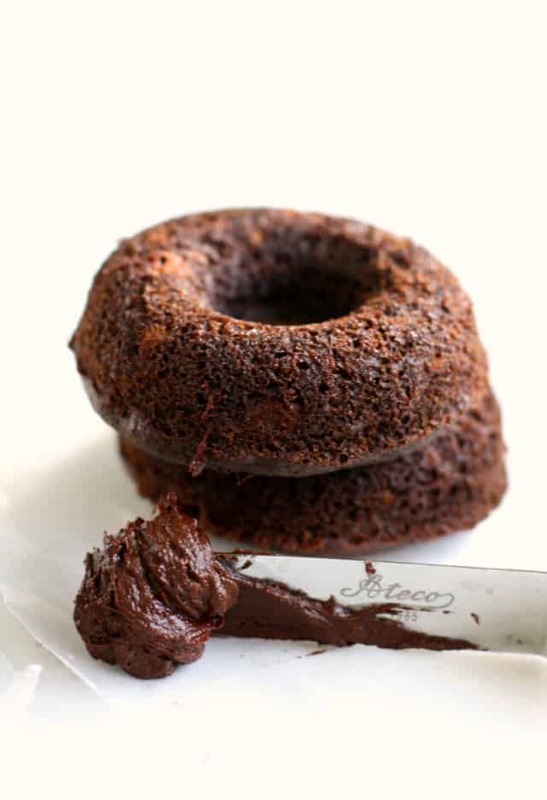 Decadent double chocolate vegan gluten free donuts are a perfect treat for a special breakfast! Preheat the oven to 350 degrees. Grease a donut pan. (Even if it is non-stick, I still recommend greasing it). 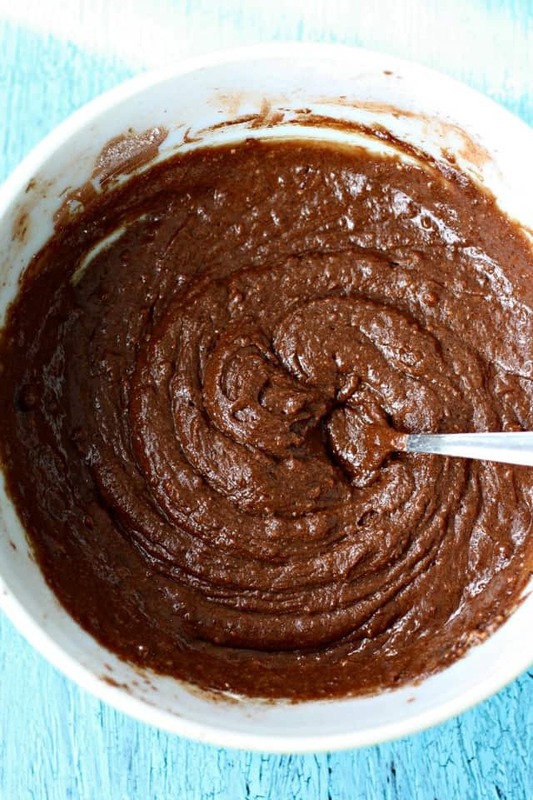 In a medium sized bowl, whisk together the gluten free flour, sugar, unsweetened cocoa powder, baking soda, and salt. Add the organic canola oil, mashed banana, vanilla, and non-dairy milk. Stir well. Spoon the batter into the prepared donut pan. Bake at 350 degrees for 11-14 minutes. Let cool in pan for about 10 minutes, then turn pan over onto a cookie sheet and tap to remove donuts. While the donuts cool, make the frosting. Beat the vegan buttery spread until fluffy. 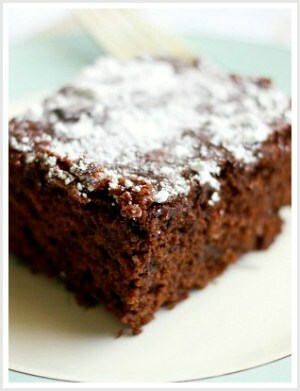 Add the confectioner's sugar and cocoa powder, then drizzle in a little of the non-dairy milk. Beat until smooth and creamy, adding more milk as needed. Frost the cooled donuts. Enjoy! How will you celebrate National Donut Day? « Vegan Cookie Dough Ice Cream. Just made these since and they are awesome..only thing different is I used dark cocoa and I am in heaven!! I haven’t had a donut in over ten years as I am allergic to gluten, lactose and eggs… thanks for the recipe!! Wish I could post a pic for you. 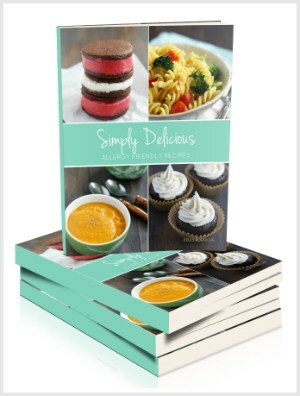 Your recipes have become a mainstay for our family, not to mention absolute lifesavers. Question – i’ve looked several times but I don’t see where the Apple cider vinegar is incorporated into the directions. Can you clarify? We made them without it today and they are divine. This recipe was followed exactly and I found no “batter” consistency. It was crumbly. Is that the kind of batter that was supposed to be made? A bit confused! What type of flour did you use? If something seems off with your batter, it’s okay to add more liquid. 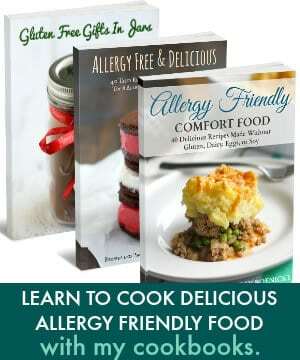 Different gluten free flour blends react differently. If you used coconut flour, that absorbs liquid and will require more water. 1/6 of a cup, so not too much! These donuts looks sooo good! I can’t believe they are also gluten-free! Brilliant recipe! Sharing now!